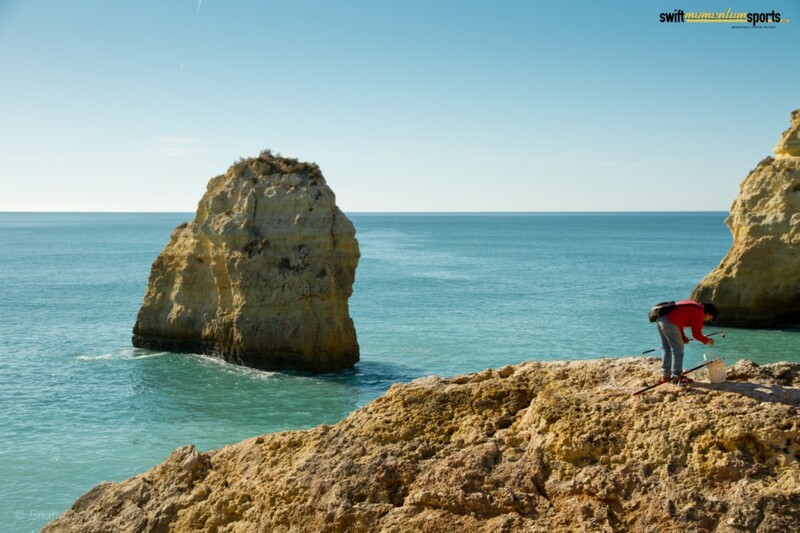 The Algarve is most famous for its sun, sea and sand, so I couldn’t ignore it. Having lived here all my life I know a lot of really unique spots along this coast and the less nice spots that have been ruined by mass tourism. Hence I’ve routed this coastal cycling holiday so you’ll never know any of it has ever been spoilt. This route doesn’t follow any pre existing trail like the mountain bike version, but rather it’s been made by us to show you all the many special places and town along or near the coast and none of the ugly bits. The coast is the busiest part of the Algarve, but I’ve managed to find quiet, country roads in place of the bigger roads. I avoid places like Albufeira (it’s like a mini Benidorm) and deliberately go inland at certain points, which doesn’t actually detract from the coastal theme as even these town are influenced by the sea and it’s mostly in sight since the route doesn’t go far inland. There are five stages spanning nearly the entire southern coast of Portugal from Vila Real to Lagos. The longest of which is 60 km. Contact us at info@swiftmomentumsports.com to get a sample route book with more details. 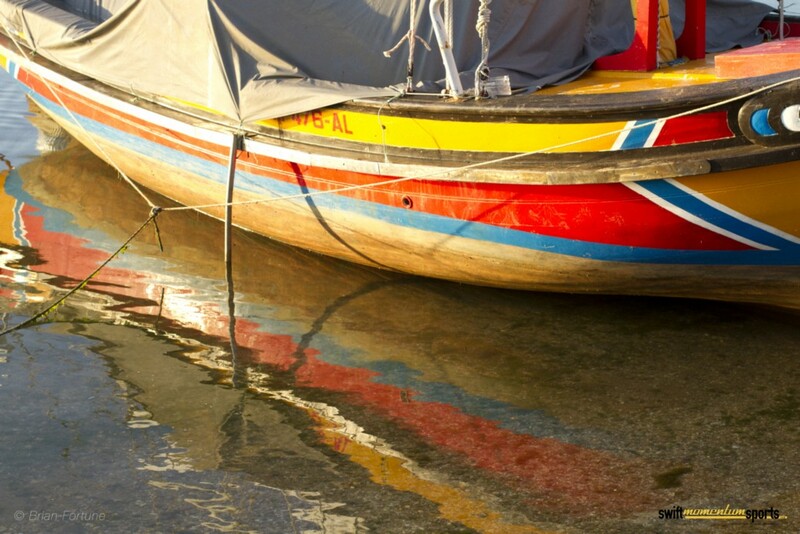 Along the way you’ll get to see the Ria Formosa lagoon, and eat some excellent fresh seafood. You’ll be able to visit old forts that were put in place long ago to defend the coast from pirates and learn a bit about the place from which the Portuguese discovered the world. There are some incredible places, like the lagoon by Vila Real de Santo Antonio which is full of bird life (including flamingos) and Cacela Velha. Accommodation is nearly all tried and tested and recommended restaurants are all tested and recommended impartially. Hotels are all three or four star and very well located. The added value: Your luggage is transferred for you, so you need not worry about that. A new or ‘as new’ racing bike is provided, but you can bring your own if you choose. Accident insurance should you (hopefully not) need it. A customized route book is produced for you depending on your specific interests. And you’re provide with mobile to keep in touch with the sms team and an optional tracking service. So this holiday is 100% private, 100% yours but you have the peace of mind of knowing that you’ve got people ready to help at a moments notice. As well as maps and a route book you’re also able to rent a gps for an extra €30,00. The route is reasonably short at 220km but involves a couple of longer stages (65km) and passage through some of reasonably sized towns called Portimão Lagos and Olhão. n.b. our prices have suffered a significant increase to reflect better quality of service and personalisation. The cost of this holiday, with five days cycling and six night are as follows: April though till the end of October excluding August (too busy, too hot) the price is €895,00 April, May and October, €960,00 in June and €1085,00 in July and September based on two sharing. Singles are required to pay a €200,00 surcharge. We don’t run this holiday on fixed dates, so you’re free to choose when you’d like to take it, as long as you give us enough notice. The prices above are based on two sharing, include all transfers, six nights accommodation, breakfast and picnic lunch. We’re here to help, so if you need any advice with flights, dates etc, or are nervous about riding a bike for so long we’re on hand.